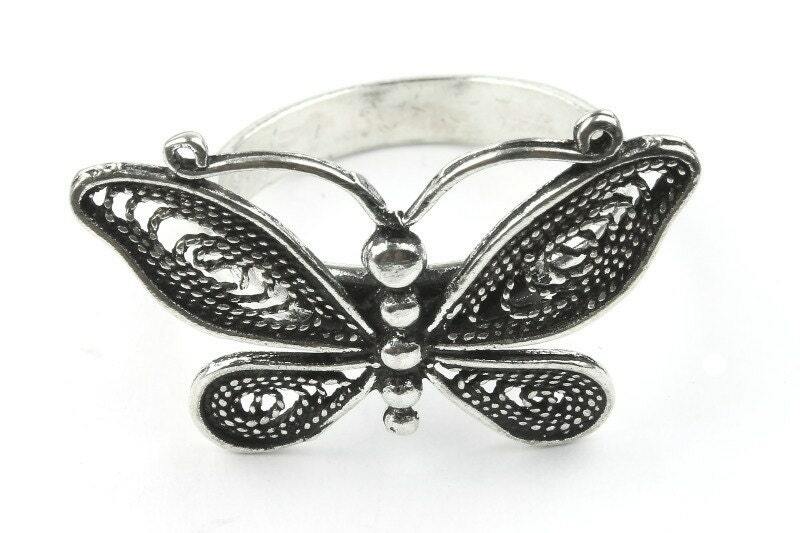 The dancing butterfly ring features a detailed butterfly that sits on the finger. Whimsical piece for the butterfly lover. A symbol of grace and expression. The butterfly is the ultimate display of transformation. 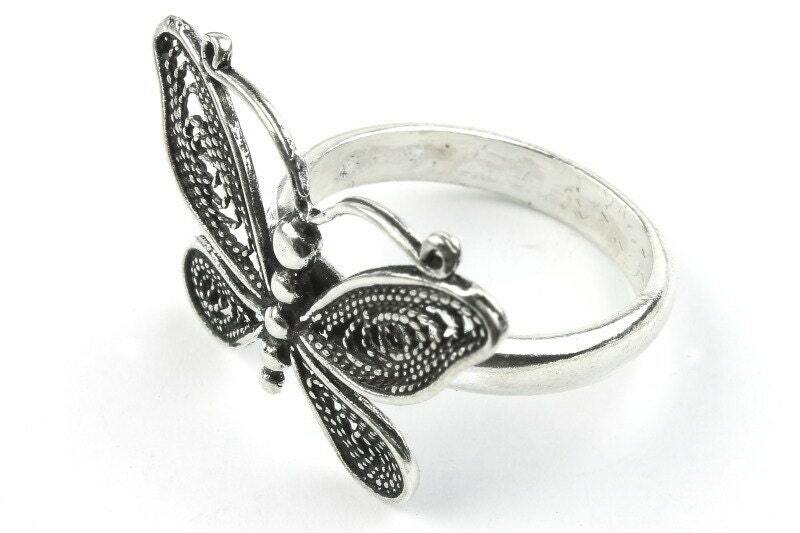 This ring is available in size 6-9.